Please join me in welcoming author Raquel Solomon to Conversations today! Raquel is here to talk about her new novel, Lies Men Tell! So be sure and check out the cover and blurb below! And don't forget to check out her interview too and get to know Raquel Solomon. As I became a young woman starting to date seriously, I found that there were so many issues in my relationships with men lying to me. I had relationships where I was cheated on with coworkers, I caught another in bed with a woman, and I had men either lie and say they were singe and were married or lie and say they were married and unhappy, but really not that miserable. I was dumbfounded and it took me through a lot of ups and downs and a young woman and single mother I resorted to journaling. Over time I realized I had a story to share with others that may be going through the same thing and decided to reach out to a publisher. 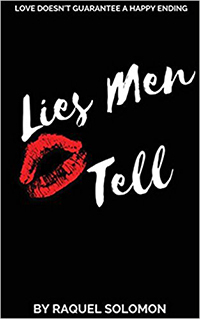 The book “Lies Men Tell” is a book about a young woman named Rachel who experiences about 4 different relationships over a 20 year period. In all those relationships she had to been either lied to or deceived. Rachel shares her journey on how she dealt with each relationship and the insecurity that came along with the heartbreak. Women tell lies too, what do you say to that? I do agree that women lie too, however, I am not that experienced in that genre since I only date men. I am currently looking tackling that topic since a lot of men seem to respond with that statement after seeing my book. Stay tuned! How did you family feel about you writing a fiction book loosely based on your personal life? My family was very supportive, my mom and dad are always at a book signing to support me. If they cannot make it a child or sibling will come to support. My family is very excited that I decided to move forward with publishing a book. My initial goal was just to publish a book so that it was part of my legacy but how can you publish a book and be proud of yourself without promoting it. Has any of the ex’s in your life commented or purchased the book that you know of? Do you plan to write a sequel or another novel? Yes, currently another books is in the works. I am hoping to have it finished by Valentine’s Day. Now that you are a published author, how has that changed your life? It has really changed my perspective of what I am capable of doing. I never really was much of a people person but now I enjoy promoting my book, telling my story and meeting other authors. This has really created a wonderful opportunity to promote not only my book but the fact I am a mentor to young ladies as well. Born and raised in Bakersfield, California, Raquel moved to Sacramento in the early 1990’s where she began life as single mother. 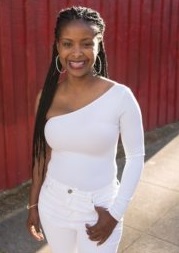 Now a mother of two daughters and a grandmother she is now living her life drama free, and is a proud graduate from Sacramento State University. In 2005, she founded an organization that mentors young girls called “Foundation TAMARA,” located in Sacramento, California. She feels that all young women should have a place to go for empowerment, encouragement and uplifting. For more than 10 years Raquel has used writing as a form of therapy to cope with heartbreak and unhappiness from failed relationships that made her question her self-worth. Now she has transformed her journal into a novel that all women around the world can relate to. She has learned the importance of loving herself and making the most of her life.